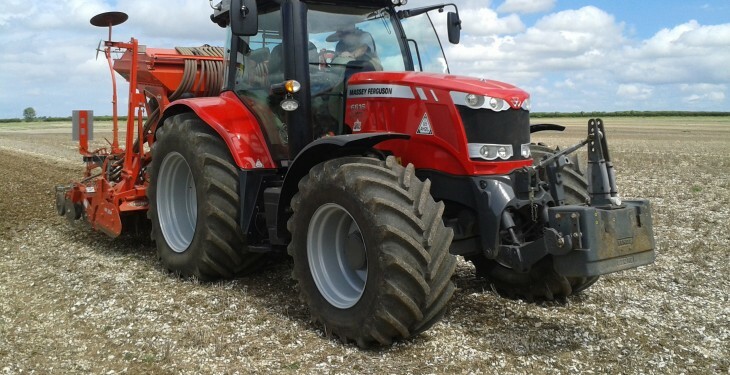 Farmers could save hundreds of euros in fuel costs every time they drill a field, a new UK trial by tyre manufacturer Michelin has shown. 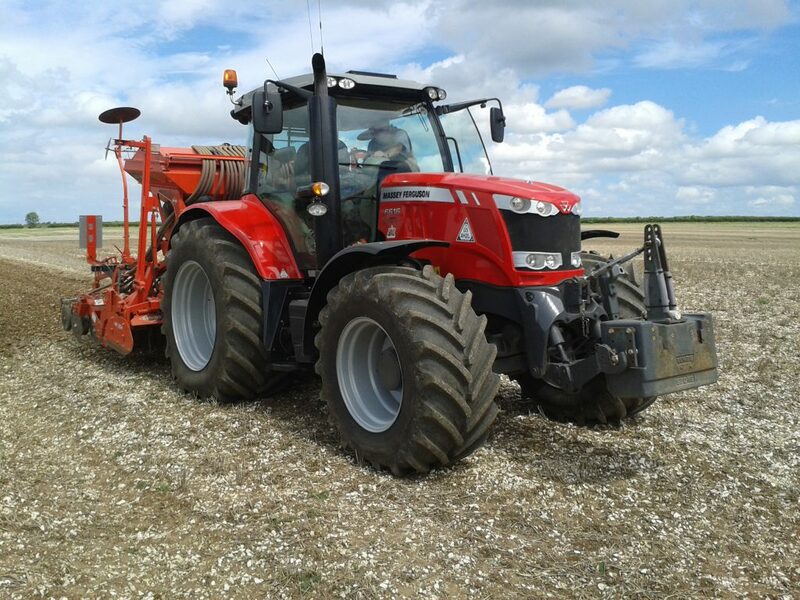 The trial was conducted using the tyre manufacturers Ultraflex Technology Xeobib tyres on a Massey Ferguson 6616 tractor operating with a Kuhn power harrow drill combination and driven over a 100 ha field, it says. “The Michelin Xeobib farm tyre limits soil compaction and optimises the crop yield. The Xeobib tyre reduces soil compaction by distributing pressure over a larger surface, thus effectively reducing rut formation and soil compaction,” the company says. For the purpose of the test the front tyre pressures were set at 20 PSI and rear pressures set to 30 PSI on the tyres and the field was drilled, leaving an average rut depth of 133mm, Michelin said. It cost £978 (€1,355) in fuel to drill the field the company said. It then dropped the pressures to 7 PSI on the front tyres and 13 PSI on the rear tyres. Michelin says that the Ultraflex tyres can handle these pressures and the fuel cost dropped to £578 (€800) resulting in a total saving of £400 (€554) in round figures. Michelin also said that, after dropping the pressure that the rut depth was also lower at an average of just 88mm. The tyre manufacturer also said that by using the Ultraflex technology tyres sub-soil compaction was significantly reduced.